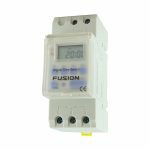 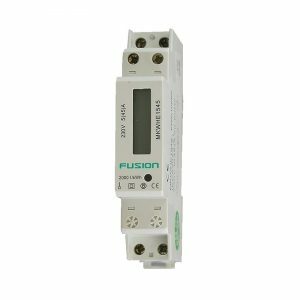 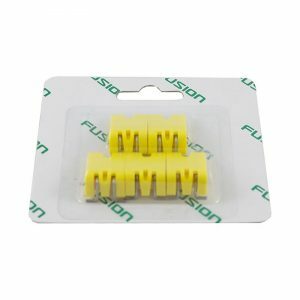 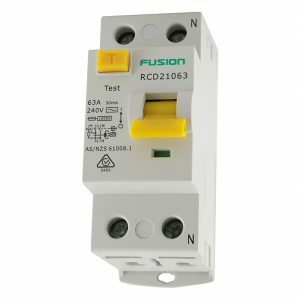 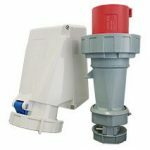 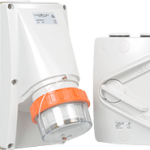 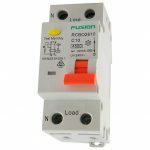 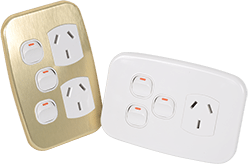 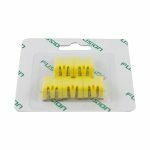 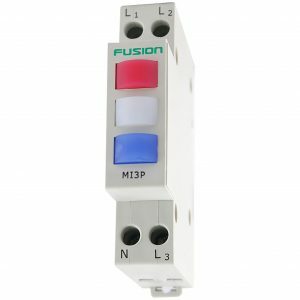 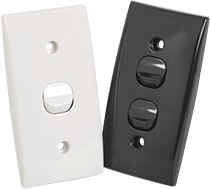 The FUSION Series range of circuit protection comes with everything you need for your residential, commercial or industrial switchboard requirements. 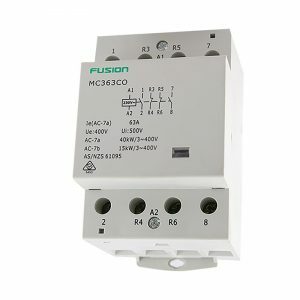 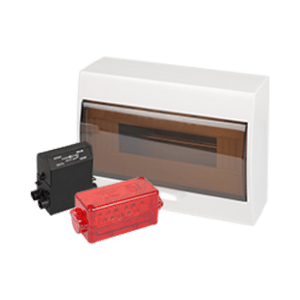 Included are MCBs, RCDs or safety switches, and RCBO combinations. 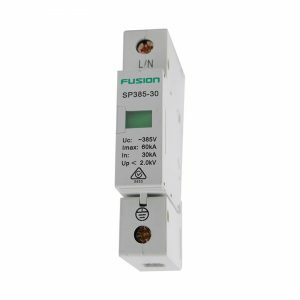 Available in 4500a, 6000a and 10,000a models, and you can trust that a 6000a is actually 6000a and not a rebadged 4500a product. 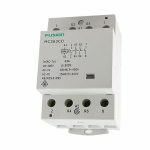 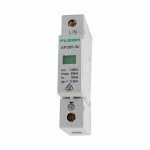 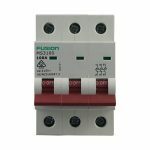 A variety of accessories are also available to complement the range of circuit protection, such as surge arrester devices, Electronic DIN rail timers and DIN rail modular contactors. 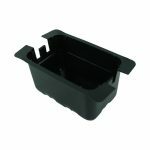 Outer housing for all devices are made of sturdy, self-extinguishing materiel. 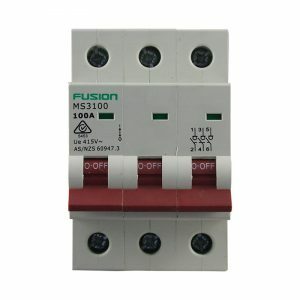 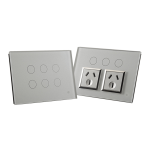 Each miniature circuit breaker has ‘lift-up’ terminals with combination head screws. 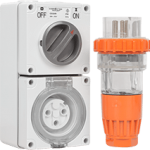 Additional safety is provided with ‘ON’ and ‘OFF’ markings in contrasting colours on toggle mechanisms. 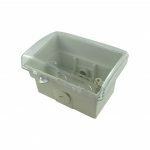 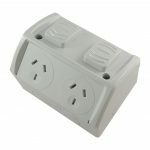 All devices are for 35mm DIN rail mounting with a DIN clip of heavy duty moulded materiel. 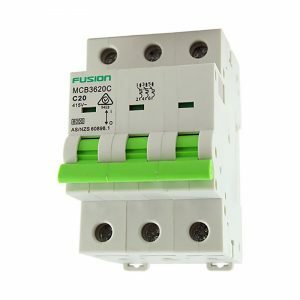 Miniature circuit breakers (MCB’s) are constructed with provisions for quick, easy and safe field application of auxiliary contacts and shunt trip release mechanisms. 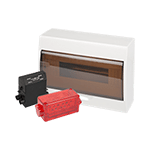 Mechanism locking and sealing wire facilities are also provided where required. 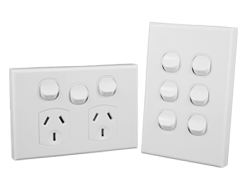 CSG range of load centres are available from 4 pole to 42 pole and are manufactured to comply with the AS/NZS 3000 Wiring rules. 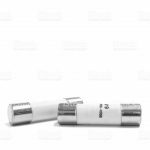 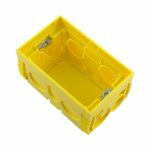 That means that the outer casing is made from self-extinguishing flame retardant material that is UV stable and has achieved a glow wire test of 750 degrees Celsius. 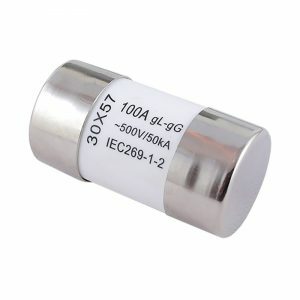 Supplied with adequate neutral links rate at 110amps, pole fillers with comprehensive labels and 65amp buscomb bars, all with a 5 Year Inhouse warranty. 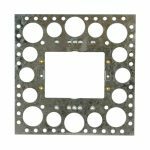 For applications that require boards with metal bases we can supply metal backings as an optional extra.